Honda will be introducing a brand new crossover SUV WR-V to Indian market. Honda WR-V is based on popular Jazz crossover. There are also reports floating on Internet that the all new WR-V will be launched on 16th March 2017 in India. We will have to wait and watch for the WR-V to enter India. 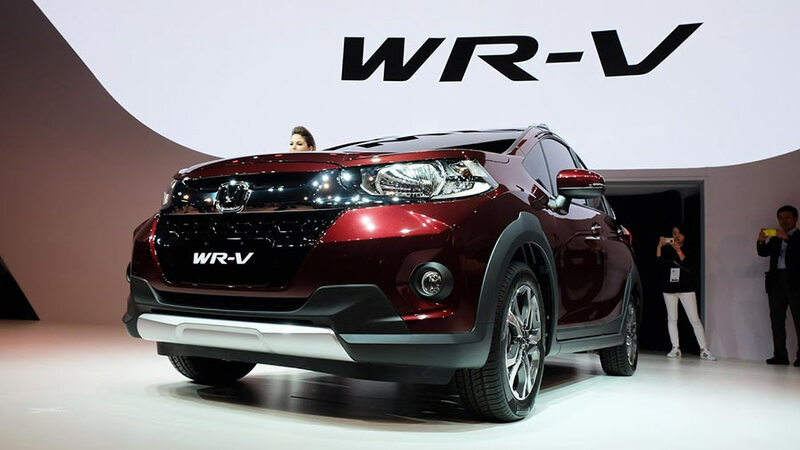 The design of upcoming WR-V car looks inherited from Jazz’s design. Honda WR-V will be getting a new front fascia with large protruding grille and also gets thick chrome slat above its grille. The grille extends to the headlamps of the model. The front profile of the upcoming crossover includes round fog lamps, new headlamp unit and front skid plate. The headlight of the WR-V is expected to get LED DRLs (Day time running lamps). 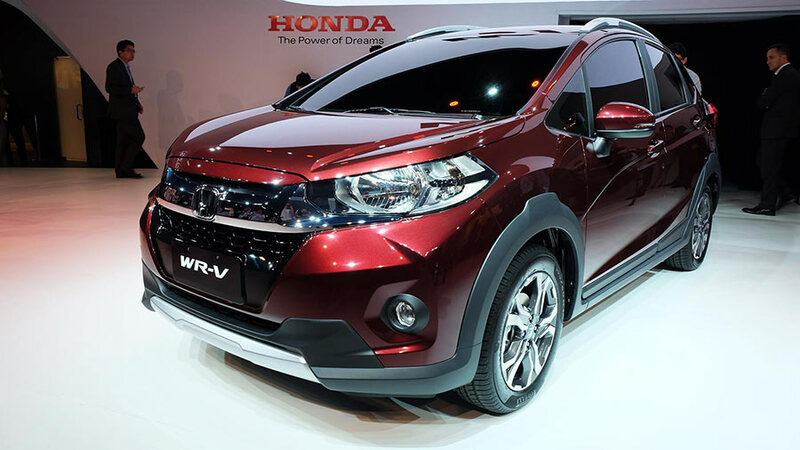 Honda WR-V gets diamond cut alloy wheels as well as ORVMs that comes integrated with turn indicators. The rear end of the new WR-V gets chrome applique on the number plate and new wrap-around tail lamp units. It looks like Honda WR-V’s all-black cabin and infotainment system are borrowed from Honda’s popular new City. 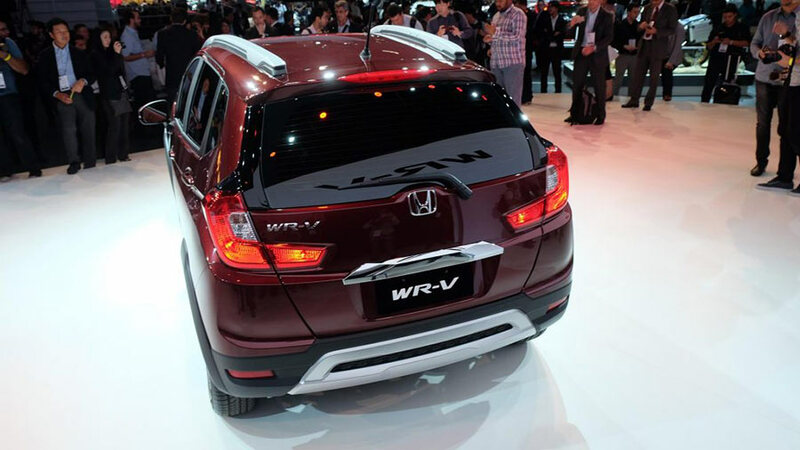 Some of the other features that are expected from WR-V are keyless entry, push start and stop, and cruise control. Under the hood, Honda WR-V will be hosting the same engine as that of Jazz. The all new Honda Jazz is going to be powered by a 1.2-litre i-VTEC petrol engine – it is the same engine that powers Honda Amaze and Honda Brio. Honda WR-V is capacble of generating 90bhp of power and 110Nm of peak torque at 4,800rpm and the other variant – 1.5-litre i-DTEC diesel engine churns out 100bhp of power with 200Nm peak torque.